Two Setups to choose from depending on availability - Vintage Trailer - Available from End of April or our wooden Hut Gazebo available from now. 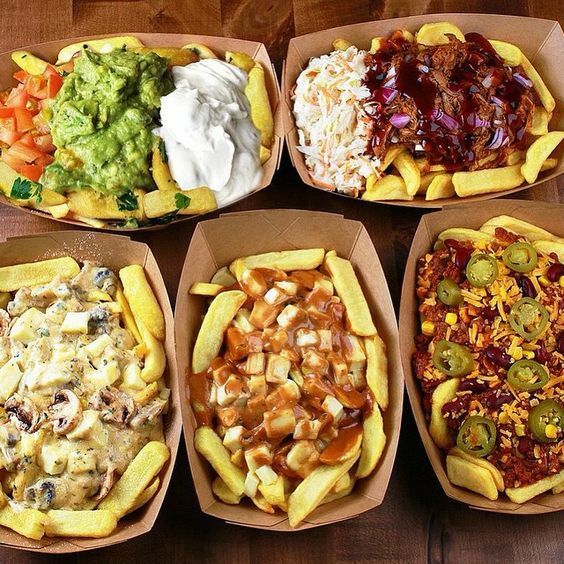 Every Poutine dish is made with Freshly Cut Fries, Squeaky Cheese Curds which are then topped with Slow Cooked Meats / Vegetarian toppings that have been Slow Cooked and Barbecued for over 14 hours in our American Hickory BBQ. 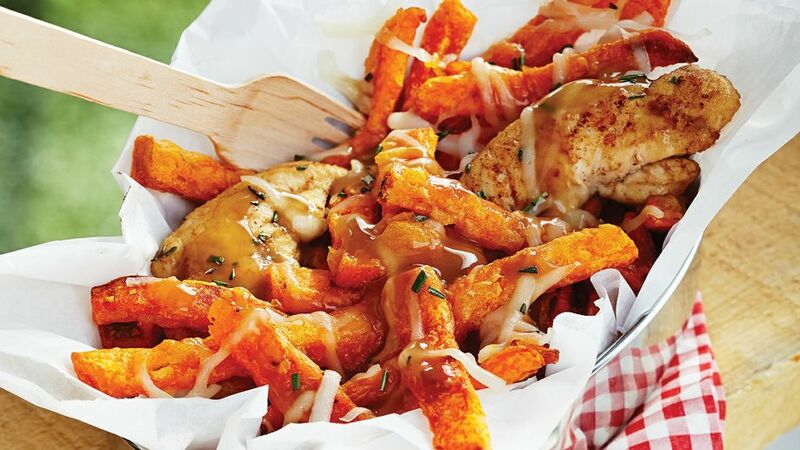 Customers can also choose other types of fries, gravy and cheese according to their tastes and dietary requirements. We cater for vegan, vegetarian and gluten free customers. We only use the best ingredients and produce from local Award Winning suppliers. We have a 5* Star Food Hygiene Rating. All our staff members have full valid Food Hygiene Certifications ranging from Level 2 to 4. We have product, public, employee and legal liability cover. We can provide valid gas and electrical certifications which are periodically renewed. Besides from the food the price also includes disposable culinary and catering food boxes. Service from our 3x3m gazebo is included however if you require us to serve indoors an additional fee applies. 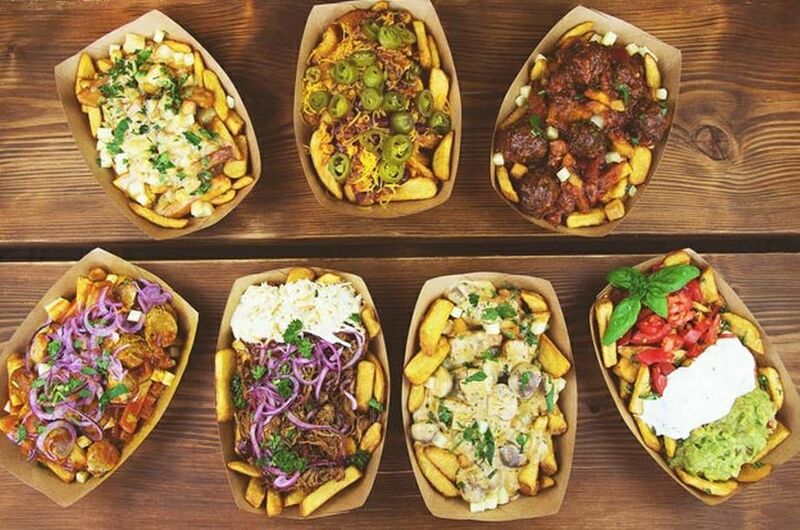 Every Poutine dish is made with Freshly Cut Fries, Squeaky Cheese Curds which are then topped with Slow Cooked Meats / Vegetarian toppings that have been Slow Cooked and Barbecued for over 14 hours in our American Hickory BBQ. 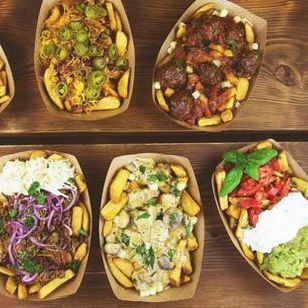 Customers can also choose other types of fries, gravy and cheese according to their tastes and dietary requirements. We cater for vegan, vegetarian and gluten free customers. 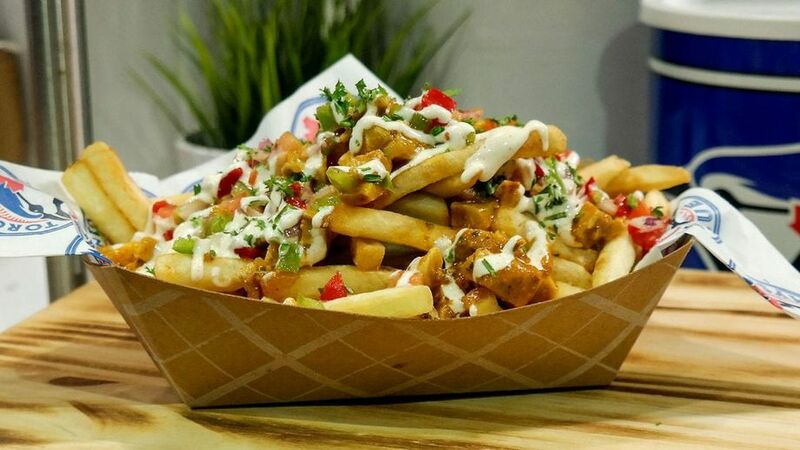 A sample menu option is shown below, however we can change the dishes according to your taste and requirements: * President Poutine - The Original Poutine loaded with your choice of gravy and cheese curds. * Tikka Chance on Me - Spicy Indian Tikka Pieces served with masala, coriander, fried onions and cheese curds * Grab ya Pork, you've Pulled - Guinness Infused Pulled Pork loaded with meaty thyme gravy, crackling and cheese curds Frisk it with the Brisket? - Sticky BBQ Brisket waiting to be frisked with a sweet BBQ gravy and cheese curds * Guac' my World! Fresh Cut chunky fries with Guacamole, Salsa Gravy, Jalapenos, Sour cream and Crushed Nachos * Wing Man - Crispy Slow cooked wings with a MEATY gravy, and Cheese Curds * Lentil Rental - Vegan or Veggie Cheese on top of loaded fries, Masala Lentil gravy and grilled tomatoes * Howay Man - Any of the above served in Newcastle's very own delicious Stottie Bun! Soak it all up! We only use the best ingredients and produce from local Award Winning suppliers. We have a 5* Star Food Hygiene Rating. All our staff members have full valid Food Hygiene Certifications ranging from Level 2 to 4. We have product, public, employee and legal liability cover. We can provide valid gas and electrical certifications which are periodically renewed. Wedding, corporate, festival, beer festivals, music festivals, private events, adult and childrens birthdays and functions. We offer a pop up catering service from our 3 x 3m gazebo which caters for Meat, Vegans, Vegetarians and Gluten Intolerant individuals.